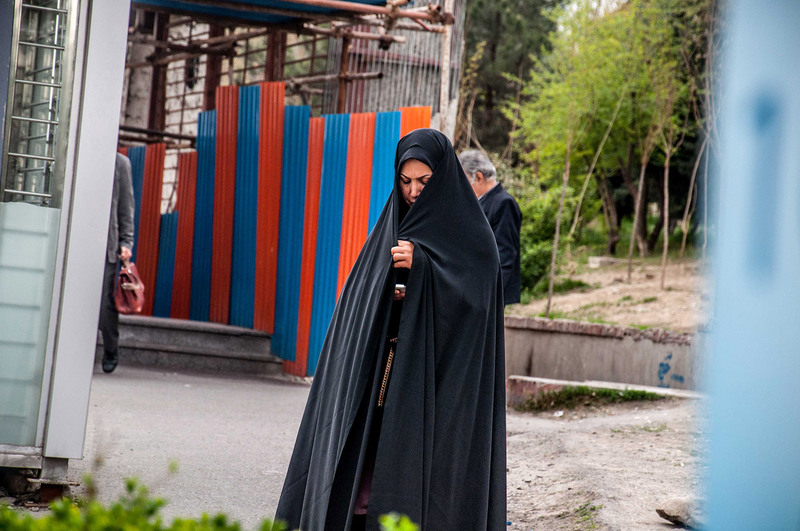 A woman at a bus stop in Tehran looks at her smartphone. Unlike this woman, young folks work proudly and openly on their smartphones. April 2014.